Add relaxing in the cozy Sonax Park Terrace collection to your exciting summer plans. The C-173-TPP Chair with thick arm rests and deep back matches the design of the rest of the set. The Saddle Strap Resin Rattan Weave is complimented by high quality, weather resistant foam seat cushions wrapped in zippered and washable Coral Sand covers. Ready to use upon delivery, you can complete your summer with this comfortable patio set from Sonax. Create an intimate backyard space that you and your friends will love by using this patio corner chair to complete your grey sectional sofa set. 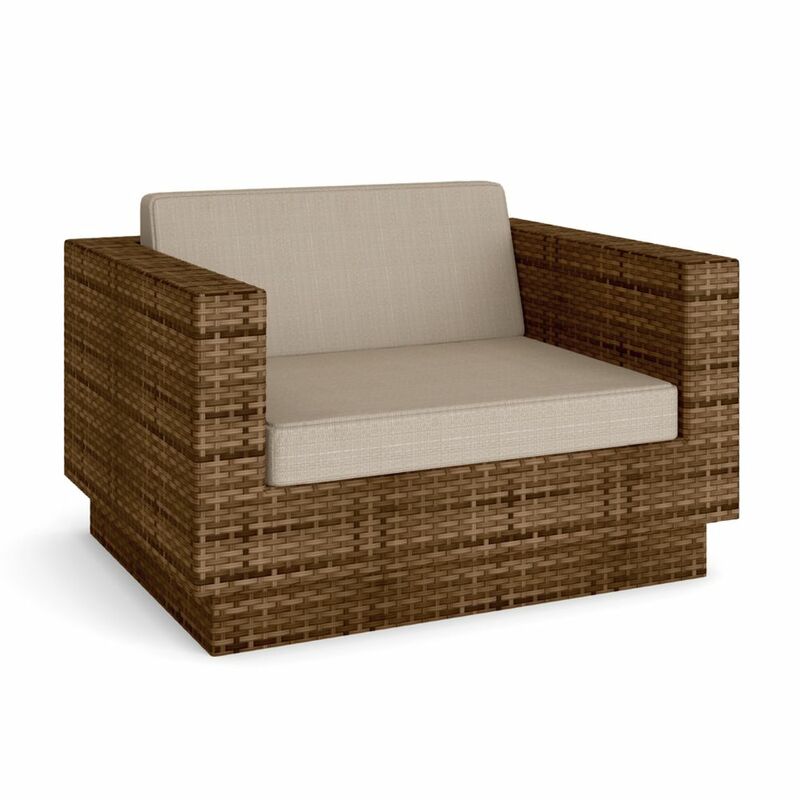 Meticulously constructed with an aluminum frame and a variegated grey wicker base, UV and weather resistant fabric and materials, makes it easy to care for and a joy to own. This patio corner chair set helps you create an intimate backyard space you and your friends will love. Meticulously constructed using UV and weather resistant materials makes it easy to maintain so you can focus on simply enjoying your backyard. The powder coated aluminum frame keeps this set sturdy and comfortable while the seat covers are removable and machine washable. Enjoy your outdoor space with the Hampton Bay Spring Haven patio furniture made with beautifully hand-woven wicker and durable steel furniture frames. The patio chair boast deep, plush weather resistant cushions for ultimate comfort and longevity. Perfect for your porch, patio or sunroom. Park Terrace Patio Chair In Saddle Strap Weave Add relaxing in the cozy Sonax Park Terrace collection to your exciting summer plans. The C-173-TPP Chair with thick arm rests and deep back matches the design of the rest of the set. The Saddle Strap Resin Rattan Weave is complimented by high quality, weather resistant foam seat cushions wrapped in zippered and washable Coral Sand covers. Ready to use upon delivery, you can complete your summer with this comfortable patio set from Sonax.